Great athletes sometimes can accomplish great things and not even realize it, most people would call this natural athleticism. Let’s take a closer look at what great athletes do well and how you, as a player, can learn and apply that to your body. One of the largest issues with most players would be in inability to rotate while extending around their spine. This is where the body stores energy (loads) and if released in the correct sequence, produces an efficient clubhead speed (explodes) players need to perform at a high level. Some studies show that there is a significant correlation between clubhead speed and scoring average, so that tells us that spinal mobility could be one of the crucial aspects of lowering handicaps and possibly taking players to the next level. 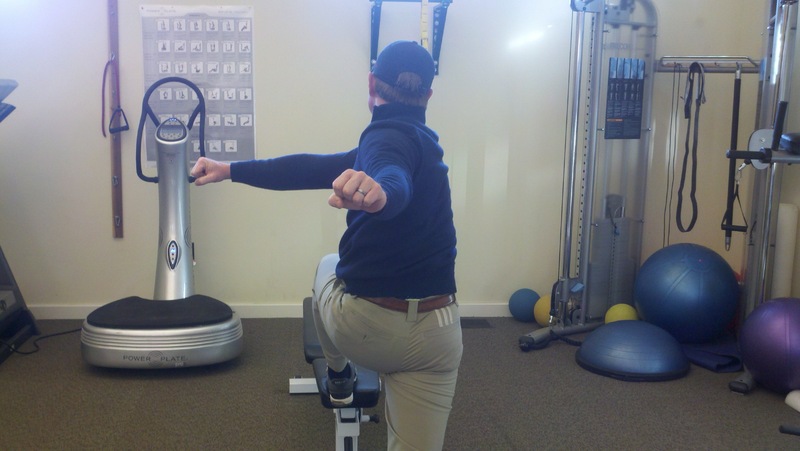 When we look at the body in motion we can see just what is required of each joint to product efficient movement patterns to improve ball flight and clubhead speed. 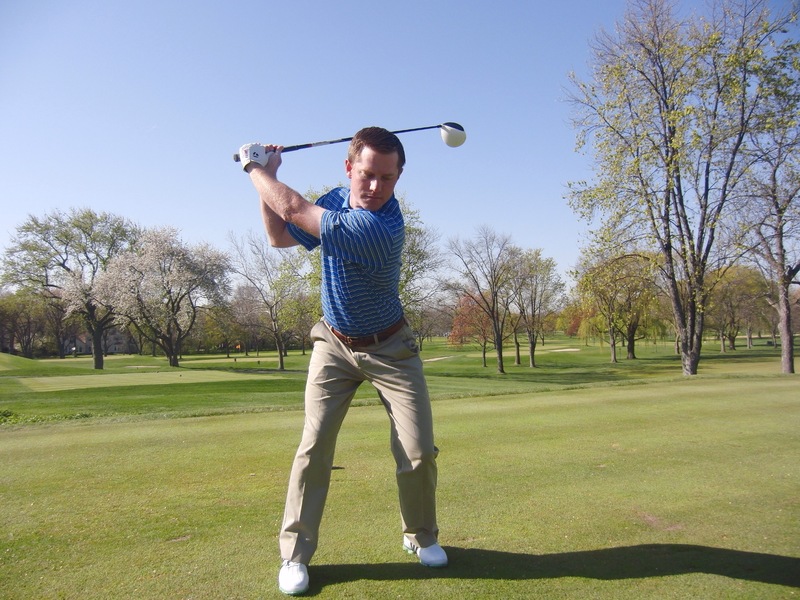 During the backswing the upper body is driven by the hands during the takeaway, which cause the upper torso to rotate, extend, and laterally flex to the side to create the backswing. This is a fairly simplistic description, but for this article we will be looking closer at the movement required by the spine. When we take a close look at the movement of the thoracic spine we see an extreme amount of movement in three planes on motion. The three planes of motion are Sagittal (front to back), Frontal (left to right), and Transverse (rotational). During the backswing we can all see great players rotate around their spin, but where we lack the understanding is that the spin is also extending into a slight arched position and tilting laterally to the right slightly for right handed players. Even in the one plane or stack and tilt methods you would see some of this motion from the spine. If one plane of motion is restricted then all planes of motion are restricted, which leads to lose of power and the ability to control your club path, face angle, and plane angle. Notice in the above image that not only is the spine rotated, but the spine is also leaning to the right and ached back towards the target (extended). 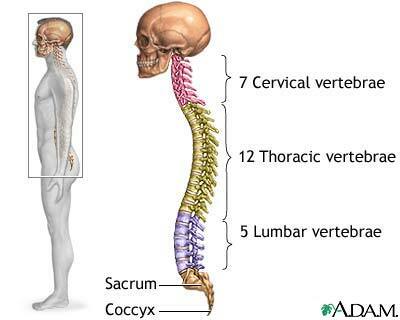 Just to mention the other two parts of the spine, notice that part of the cervical spine (C1-C4) would have very little movement, so that the eyes can still see the ball. The lower part of the cervical (C5-C7) would have significant relative rotation. Your lumbar spine is attached to your sacrum and your sacrum is apart your pelvic, so their is little movement there as well, this part of the spine helps create stability. This would pin point the lower cervical spine and the thoracic spine as the major player in the back system when understanding how the body moves during the backswing. This is not to say we will disregard the other two aspects of the spine, but we should check our T-Spine (Thoracic Spine) as a starting point. 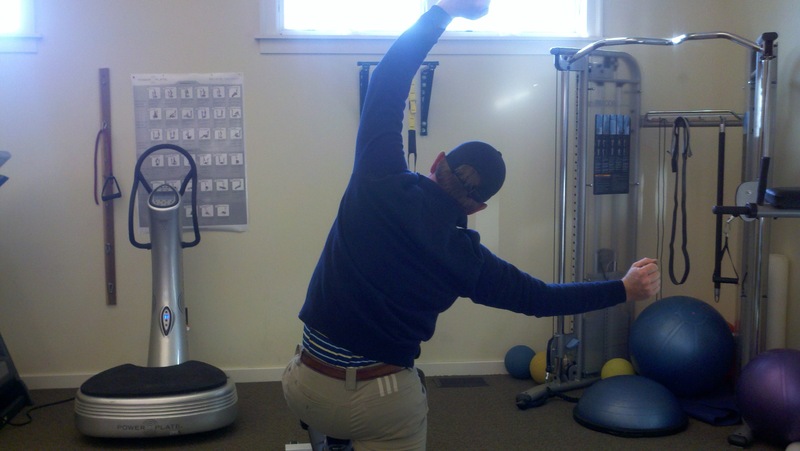 When evaluating the spine in all three planes of motion we want to evaluate in the most authentic position possible. Notice the position above at the top of the back swing, this is where you would want to test T-Spine. Place yourself in this backswing position and simply try to only move your upper back through the three planes of motion. You should be able to move your upper back through all three plane on motion (Frontal, Sagittal and Transverse), granted the movements will be smaller than if you were using your hips and arms. 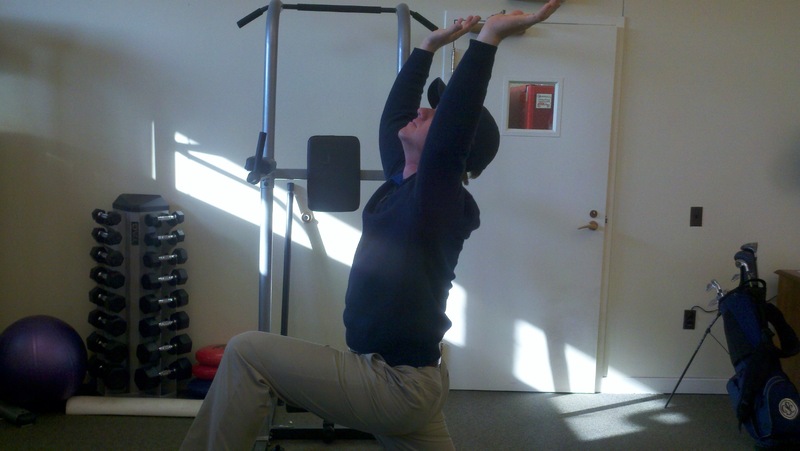 After the evaluation is complete you will be able to move forward with an exercise program that will give you more flexibility in the planes of motion you were lacking mobility. The most simple, but effective exercise I would use would be a lunge matrix on an elevated bench and follow the movement patterns below. This is a dynamic exercise and not to be held in positions, just as we would perform any athletic motion. Feel free to add light weights to assist with the momentum of the motion to take you to your end range of motion. This would be the simplistic and safe way to initiate movement in the T-Spine and hopefully regain clubhead speed to your game. By completing this matrix of all three planes of motion in your T-Spine, there is a good chance you will have worked the correct area of your spine. Contact me if you have any questions or would like a more in depth evaluation or more personalized exercise program.